What bothers me is not that we are unable to find solutions to our problems, what bothers me more is the fact that neoliberals are so utterly unaware of real structural issues that their attempts to sort out tangential problems will further exacerbate the main issues. Religious extremism, militancy and terrorism are not the cause but the effect of poverty, backwardness and disenfranchisement. Empirically speaking, if we take all other aggravating factors out, such as poverty, illiteracy, disenfranchisement, deliberate training and arming of certain militant groups by regional and global players and, more importantly, grievances against the duplicitous Western foreign policy, I don’t think that the Islamic State, al-Qaeda and the likes would find abundant supply of foot soldiers that they are getting now in insurgency-wracked regions of the Middle East, North Africa and South Asia. Although I do concede that the rallying call of “jihad in the way of God” might be one reason for abundant supply of foot soldiers to jihadists’ cause, on an emotional level, it is the self-serving and hypocritical Western interventionist policy in the energy-rich Middle East region that adds fuel to the fire. When Muslims all over the Islamic countries see that their brothers-in-faith are getting massacred in Palestine, Syria, Iraq, Libya, Yemen, Somalia and Afghanistan, on an emotional level, they feel outraged and seek justice. This emotional outrage, in my opinion, is a far more potent factor that makes Muslims vulnerable to radical ideologies and violence than the sterile theological argument of God’s supposed command to fight holy wars against infidels. If we take all other contributing factors out of the equation, I don’t think the Muslims are an “exceptional” breed of human beings who are hell-bent on killing heretics all over the world. Peaceful, or not, Islam is only a religion just like any other cosmopolitan religion whether it’s Christianity, Buddhism or Hinduism. Instead of taking an essentialist approach, that lays emphasis on essences, we need to look at the evolution of social phenomena in its proper historical context. For instance: to assert that human beings are evil by nature is an essentialist approach; it overlooks the role played by nurture in grooming human beings. Human beings are only intelligent by nature; they are neither good nor evil by nature; whatever they are, whether good or evil, is the outcome of their nurture or upbringing. Similarly, to pronounce that Islam is a retrogressive or violent religion is an essentialist approach; it overlooks how Islam and its scriptures are interpreted by its followers depending on the subject’s socio-cultural context. For example: the Western expat Muslims who are brought up in the West and have imbibed Western values would interpret a Quranic verse in a liberal fashion; an urban middle class Muslim of the Muslim-majority countries would interpret the same verse rather conservatively; and a rural-tribal Muslim who has been indoctrinated by the radical clerics would find meanings in it which could be extreme. It is all about culture rather than religion or scriptures per se. Regarding Islamic radicalism, if we look at the evolution of Islamic religion and culture throughout the 20th and 21st centuries, it hasn’t been natural. Some deleterious mutations have occurred somewhere which have negatively impacted the Islamic societies all over the world. Social conditioning plays the same role in social sciences that natural selection plays in biological sciences. It selects the traits, norms and values which are most beneficial to the host culture. Seen from this angle, social diversity is a desirable quality for social progress, because when diverse customs and value systems compete with each other, the culture retains the beneficial customs and values and discards the harmful traditions and habits. A decentralized and less organized religion, like Sufi (mystical) Islam, engenders diverse strains of beliefs and opinions which compete with one another in gaining social acceptance and currency. A heavily centralized and tightly organized religion, on the other hand, depends more on authority and dogma than on value and utility. In addition, a centralized religion is also more ossified and less adaptive to change compared to a decentralized faith. 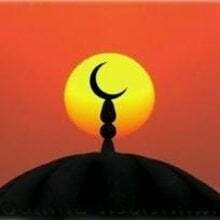 Thus, while the number of adherents of all other religions has remained static or dwindled, the proselytization of Islam has nearly doubled during the last century. The only feature that sets Islam apart from the rest of major cosmopolitan religions, like Christianity, Buddhism and Hinduism, and which is also primarily responsible for this atavistic phenomena of Islamic resurgence in the modern era is that Islam as a religion and political ideology has the world’s richest financiers. After the 1973 collective Arab oil embargo against the West in the wake of the Arab-Israeli war, the price of oil quadrupled; and the contribution of the Gulf’s petro-sheikhs toward the ‘spiritual well-being’ of Muslims all over the world magnified proportionally. This is the reason why we are witnessing an exponential growth of Islamic charities and madrassas (religious seminaries) all over the world and particularly in the Islamic world. The phenomena of Islamic radicalism all over the world is directly linked to Islamic madrassas that are generously funded by the Gulf’s petro-dollars. These madrassas attract children from the most impoverished backgrounds in the Third World Islamic countries, because they offer the kind of incentives and facilities which even the government-funded public schools cannot provide: such as free boarding and lodging, free meals for destitute students, no tuition fee at all and free of cost books and stationery; some generously funded madrassas even pay monthly stipends to their students. Moreover, it’s a misconception that the Arab sheikhs of Saudi Arabia, Qatar, Kuwait and some conservative emirates of UAE generally sponsor the Wahhabi-Salafi sect of Islam. The difference between numerous sects of Sunni Islam is more nominal than substantive. Islamic charities and madrassas belonging to all the Sunni denominations get generous funding from the Gulf Arab states as well as from wealthy private donors. Besides madrassas, another factor that promotes the Gulf’s Wahhabi-Salafi ideology in the Islamic world is the ritual of Hajj and Umrah. Every year, millions of Muslim men and women from all over the Islamic world travel to the holy cities of Mecca and Medina to perform the pilgrimage. When the pilgrims return home to their native countries, after spending a month or two in Saudi Arabia, along with cleansed hearts and purified souls, they also bring along the tales of Saudi hospitality and their supposedly ‘true and authentic’ version of Islam, which some Muslims, especially the backward rural folks, find attractive and worth-emulating. Yet another factor which contributes to the rise of Wahhabi-Salafi ideology throughout the Islamic world is the migrant workers. Millions of Muslim men, women and families from all over the developing Islamic countries live and work in energy-rich Saudi Arabia, Qatar, UAE, Kuwait, Bahrain and Oman. Some of them permanently reside there but mostly they work on temporary work permits. Just like the pilgrims, when the migrant workers return home to their native villages and towns, they also bring along the tales of Saudi hospitality and their version of supposedly ‘authentic Islam.’ Spending time in the Gulf Arab states entitles one to pass authoritative judgments on religious matters, and having a cursory understanding of Arabic, the language of Quran, makes one equivalent of a Qazi (a learned jurist) amongst illiterate, rural Muslims; and such charlatans simply reproduce the customs and traditions of the Arabs as the authentic version of Islam to their backward rural communities.